Ahlen, March 2017. – The new Puro Set Wide from Kaldewei is a real all-rounder in which comfortable bathing and showering are both possible. It is a classic single-person bathtub with an ergonomic backrest and extra steep walls at the foot end and the longitudinal sides. 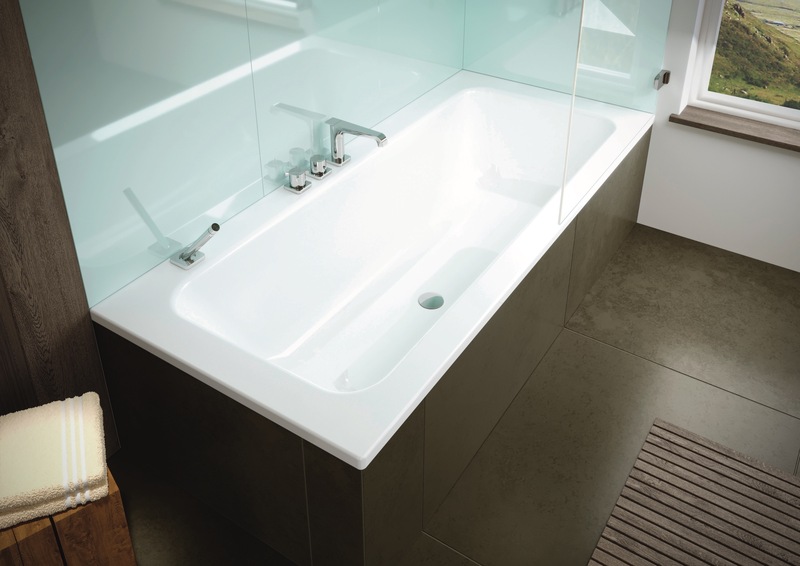 This means that the Puro Set Wide offers not only great reclining comfort with optimum legroom while bathing, but also plenty of freedom of movement and excellent underfoot safety while showering. The generous standing space with no annoying waste cover can also be fitted with a extra large anti-slip coating on request. The Puro Set Wide’s broad rim gives designers and architects maximum freedom in choosing where around the edge to place taps and fittings. 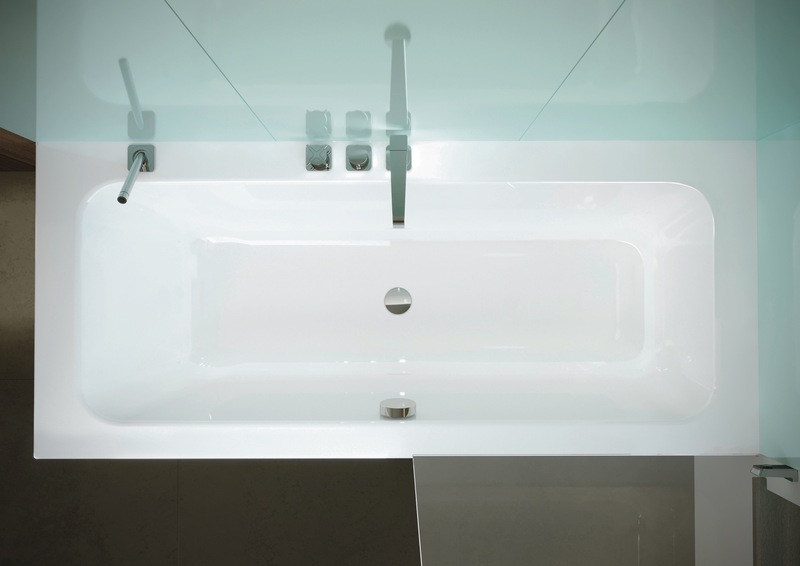 Another new feature of the Kaldewei range is the slight widening of the bathtub rim on the two sides that are against the walls. 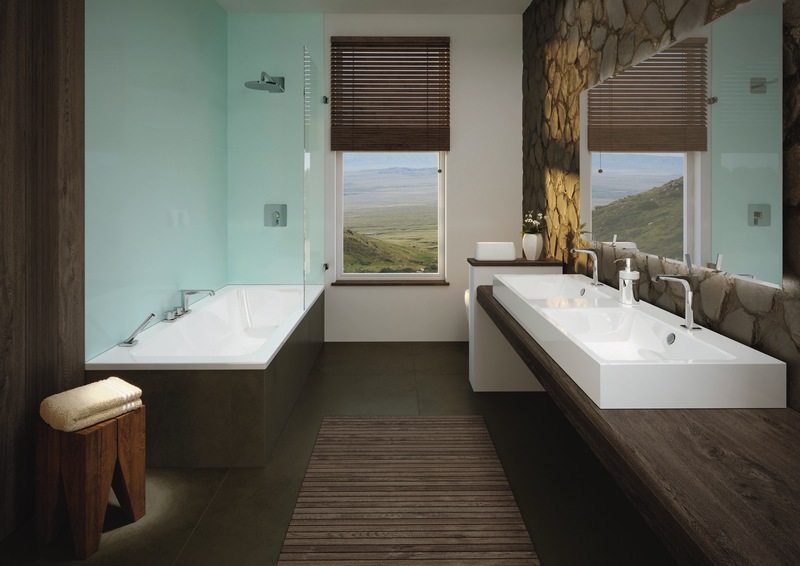 This allows wall tiles to be simply affixed all the way to the level of the bathtub while retaining an even look with the same rim width on all four sides. 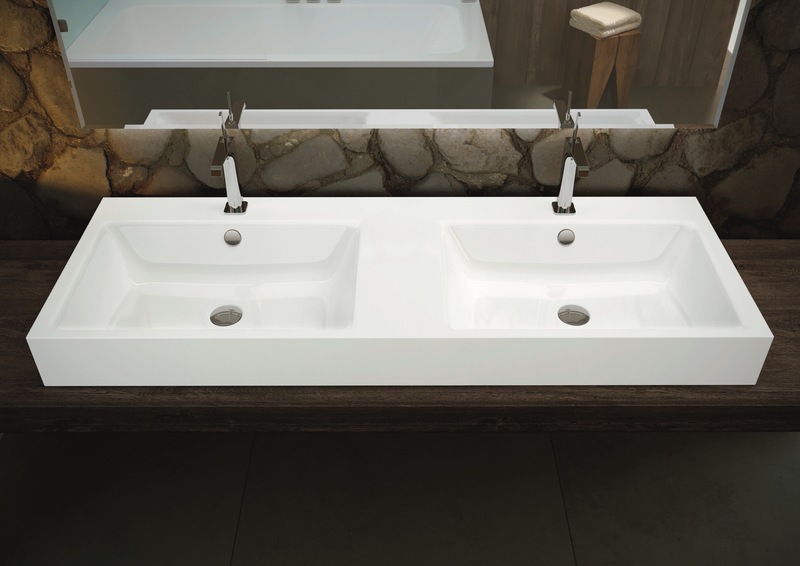 Furthermore the Puro Set Wide is available in a number of different versions. The modern design vocabulary of the new Puro Set Wide corresponds with the existing Puro product series thus perfectly complementing the Puro washbasins made of Kaldewei steel enamel. Available in left or right-fitting versions, they offer great versatility for different installation layouts. This is of enormous benefit, particularly to developers and modernisers who, while not wishing to forgo either a comfortable bathtub or a refreshing shower, do not have space for both owing to architectural constraints. With the flexible arrangement of taps on the rim of the bathtub and its maximum capacity of 170 litres, the Puro Set Wide ideally meets the needs of customers and planners in the UK. 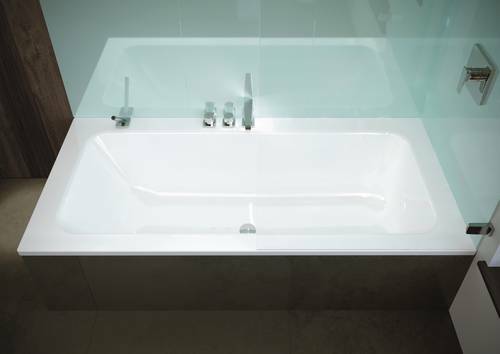 The bathtub complies with Requirement G2 (water efficiency) of the UK Building Regulations. The new Puro Set Wide from Kaldewei is a real all-rounder in which comfortable bathing and showering are both possible. It is a classic single-person bathtub with an ergonomic backrest and extra steep walls at the foot end and the longitudinal sides. 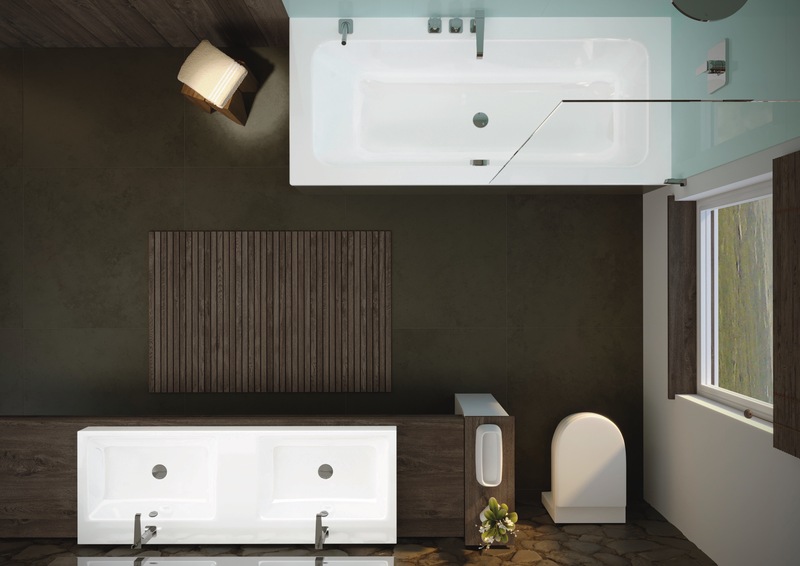 This means that the Puro Set Wide offers not only great reclining comfort with optimum legroom while bathing, but also plenty of freedom of movement and excellent underfoot safety while showering. The Puro Set Wide’s broad rim gives designers and architects maximum freedom in choosing where around the edge to place taps and fittings. The modern design vocabulary of the new Puro Set Wide corresponds with the existing Puro product series thus perfectly complementing the Puro washbasins made of Kaldewei steel enamel.